When attorney Leo Cushing founded the Cushing & Dolan law firm in 1984, the lawyers focused on tax and estate planning issues for families and businesses. As our law firm grew, we noticed other issues were causing families great concern: long-term care and other matters associated with aging. The facts are clear: More than 43% of people over 65 will spend some time in a nursing home. How can the family prepare for that eventuality? Too many elderly people see their assets wiped out by long-term care. Because we care, the Elder Law Centers attorneys and staff focus on helping elderly people and their families. 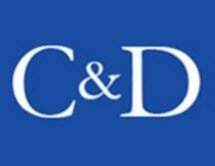 The Elder Law Centers is an affiliate of Cushing & Dolan, P.C., a Boston law firm known for sophisticated and personalized approaches to estate planning and tax issues. Our lawyers devote their practices exclusively to helping elderly people and their families. Our attorneys are members of the National Academy of Elder Law Attorneys (NAELA). Tankle, Pamela R. Esq., LL.M.